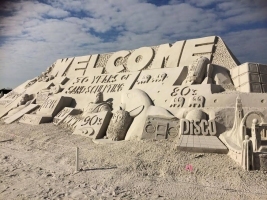 We read articles all the time that rate sand sculpting competitions as being the best and well, every article leaves us wondering how they came up with their list or where they got their information from. What determines best? 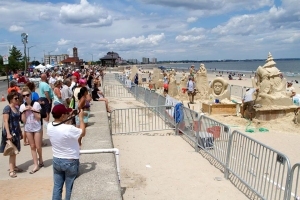 Is it the number of spectators, maybe it’s the number of sculptures, possibly the number of competing sculptors, could it be the total amount of sculpted sand, or is it the location, or the quality of sand? Trust us, it’s none of these. The problem is, none of the lists we’ve seen actually list their logic and in every case, miss some very good competitions. 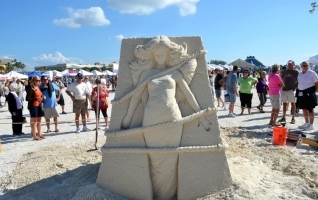 We all know everyone wants to be the best but, if you just focus on the art, every sand sculpting competition is THE BEST! 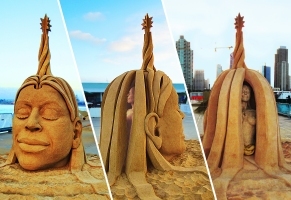 Everyone should go and see these amazing works of art made from just sand and water. 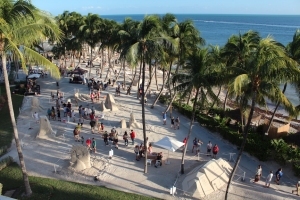 Most competitions today have lots of activities, creating a festival environment yet highlighting the sand sculpting aspect. Each competition is unique and each has its own special flair but, again they are all “THE BEST”. What makes these competitions “THE BEST”? 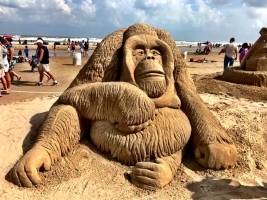 No question; it’s the Master/Professional Sand sculptors. 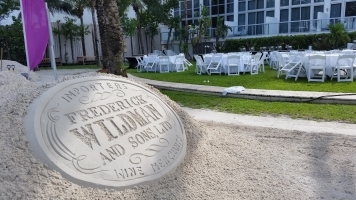 Being Master/Professional sand sculptors we have competed or worked with many Sand Sculptors from around the globe. Still, after more than a decade in the industry we continue to be awed by their skills, creativity and professionalism. 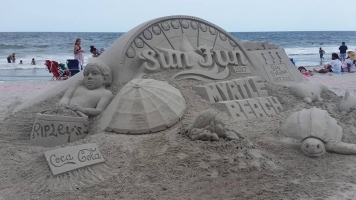 Master/Professional level sand sculptors are professional sculptors and most have 10 plus years of experience, some well over 20 years and many make their living in the sand. 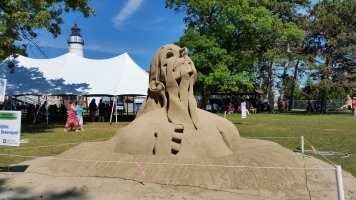 It is extremely risky for a respectable competition not to use this level of sculptor; it would be like a major-league baseball team bringing in a high school pitcher. This high school pitcher just might last a few innings but, one thing is for sure there is not a major-league team who would be willing to take the risk. 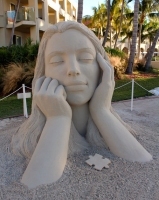 Not just anyone can create beautiful works of art from sand and water. Testament of this is; there are only about 50 master/professional level sculptors in the U.S. Sure, there are plenty of people who can sculpt objects from different mediums like clay, wood or foam. 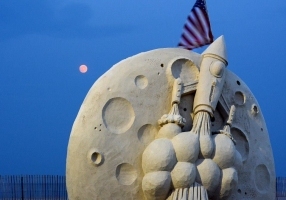 But, to create a sand sculpture reaching some 10 plus feet in the air you must move a minimum ten tons of sand with a shovel (yes, by hand with a shovel) into forms, in layers mixing the sand with water and tamping it with a 25 pound tamper every 4-6 inches. 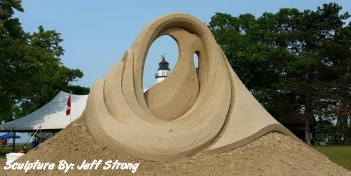 As you can see creating sand sculptures requires physical strength and endurance. 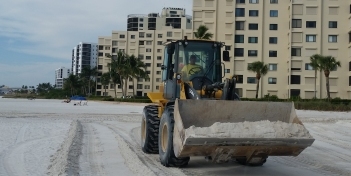 Along with physical endurance you need to have an excellent knowledge of the sand and how to pack it. 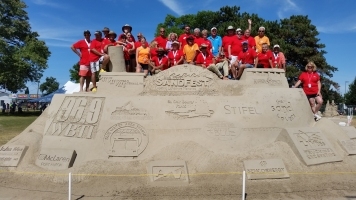 Each competition has different sand and it takes many years of experience to properly evaluate and work with the different sands. 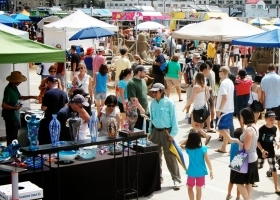 Advanced Amateur Division is a place where an advanced amateur sculptor can prove their abilities and get one step closer to being accepted as a Master Sculptor. If they have the abilities they could be invited back the following year to compete in the Masters Level. 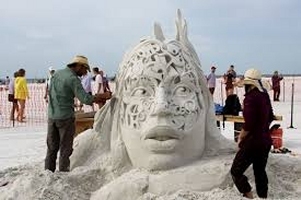 To qualify as an Advanced Amateur a sand sculptor must have placed 1st, 2nd or 3rd in several amateur contests but, can not be a professional sand sculptor.The big difference: typically an amateur sculptor has about 1-3 tons of sand and only 3-6 hours sculpting time. 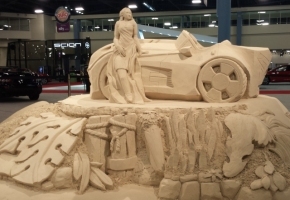 An Advanced Amateur competition is held over 2-3 days, the sculptor has about 9 tons of sand with about 20 hours sculpting time. 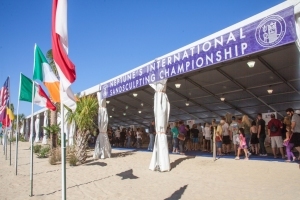 The Advanced Amateur Division is by invitation only and only a few events offer them. The Amateur competition is a mixed team/solo event intended as a venue for beginning or advanced amateurs and pretty much open to anyone except Masters and Professionals. Almost every event has an amateur division. 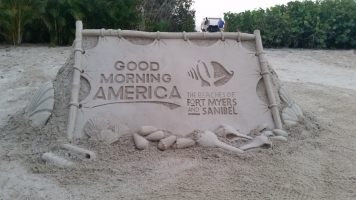 Most everyone thinks the sand used during a competition comes from the beach, when the reality is very few sand sculpting competitions actually use beach sand and most truck in sand and dump it on the beach. They don’t do this to fool anyone; they simply do it to allow for bigger more detailed sculptures. 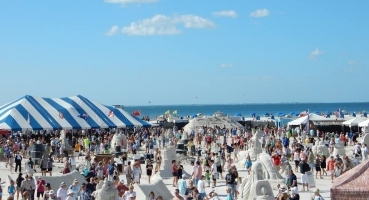 Of the competitions on our list only those hosted on Fort Myers Beach, Siesta Key, Navarre Beach, South Padre Island and Port Aransas use actual beach sand, the rest truck the sand in from local quarries. 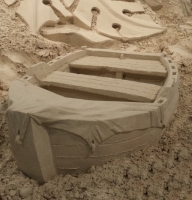 The point is, all sand is different and it literally takes years to not only learn it but, become comfortable with it. 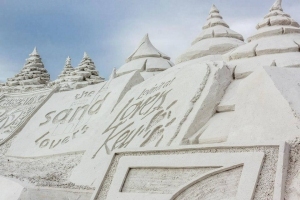 Before we get to the Competition list, we need to mention there are other sand sculpting events or exhibitions in the United States that also have unbelievable works of art, like Art of Sand in Brevard County Florida. In fact, there are several around the world and if you have the chance you should see these also. 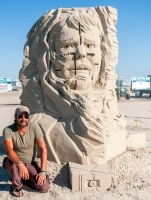 Here is the alphabetical Ultimate List of sand sculpting competitions in the United States. or their individual Event web sites. Sculputre by: Abe Waterman (middle). 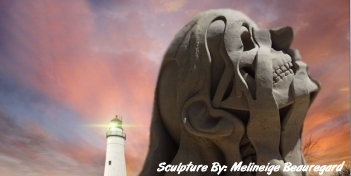 Sculptures by: Melineige Beauregard (right) and Greg Grady Jr. (left). Sculptures by: Sue McGrew (right), Susanne Ruseler (left). 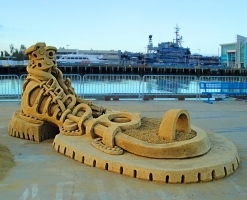 Sculputures by: John Gowdy(left) and Joris Kivits(right). 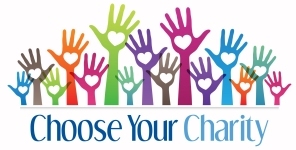 Most of the competitions on our list give back to their local community, some raise thousands of dollars each year for charities like; Kiwanis, local boys and girls clubs, wildlife conservation. veterans, first responders and various other non-profits. So, if you pay a little to get into one of the events remember a portion of it is going to one charity or another and probably local. 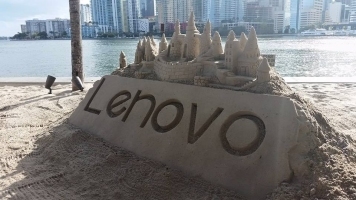 Along the same lines we should mention “Sand in the City”. 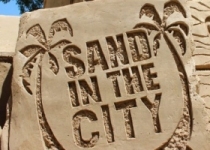 Sand in the City is a unique sand sculpting competition that partners with non-profit organizations to develop sand in the City contests, typically in large cities. 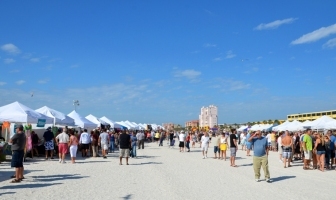 These events raise millions each year for various charities. 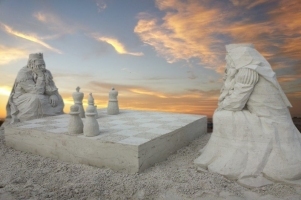 No matter which competition you choose to attend, you will find the art to be absolutely “unbelievable” and in most cases, you will leave scratching your head saying “how’d they do that”. 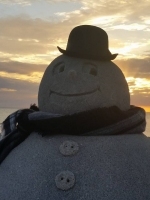 Bill and Marianne Knight own The Sand Lovers, LLC. 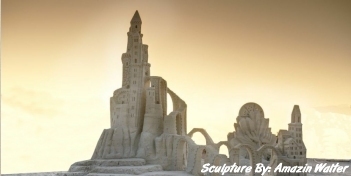 They are master/professional sand sculptors who create beautiful works of art from piles of sand for any occasion, in any location (indoors or outdoors). 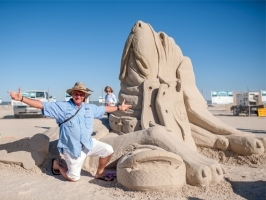 They found their love for sand sculpting in 2001 when they began competing in amateur contests. 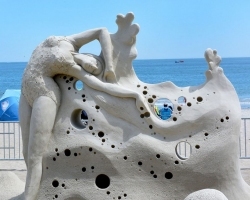 After winning several awards they became professional sculptors in 2006. 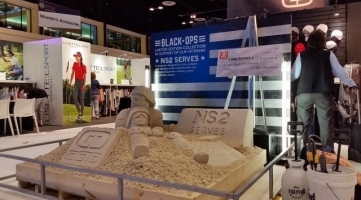 Combining their vast corporate business experience with sand sculpting provides them the business side of working with clients. 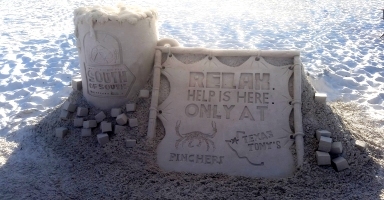 Since launching their company they have created hundreds of sand sculptures for many different occasions, celebrations, weddings, corporations, promotions, state fairs, trade shows and much more. 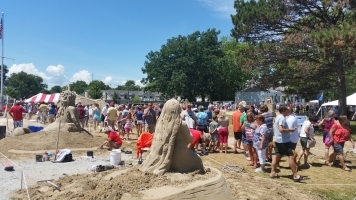 The Sand Lovers has also been very successful managing sand sculpting events. 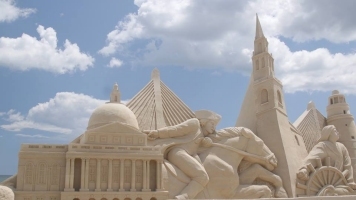 Since their beginning, Bill and Marianne have managed over twenty major sand sculpting events and many smaller events reaching well over 1 million people. Giving back to local communities is something they believe in. Testament of this is the hundreds of thousands of dollars they have donated to local charities from the events they manage.